This home is a perfect starter home or investment property. This home features gorgeous new flooring throughout the entire home, fresh paint and includes the refrigerator. Bedrooms are spacious and the master bedroom has it&apos;s own bathroom. There are new low-flow toilets that were recently installed in both bathrooms. The 2 car garage has plenty of room for your car and storage. There&apos;s enough room on the side of the house for RV access and the back yard has lush green lawn. 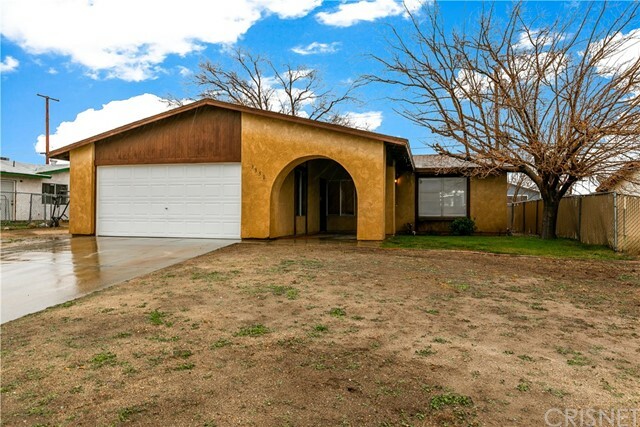 This home is centrally located and only minutes from schools, shopping, the park and Edwards AFB.